That’s a reasonable expectation. 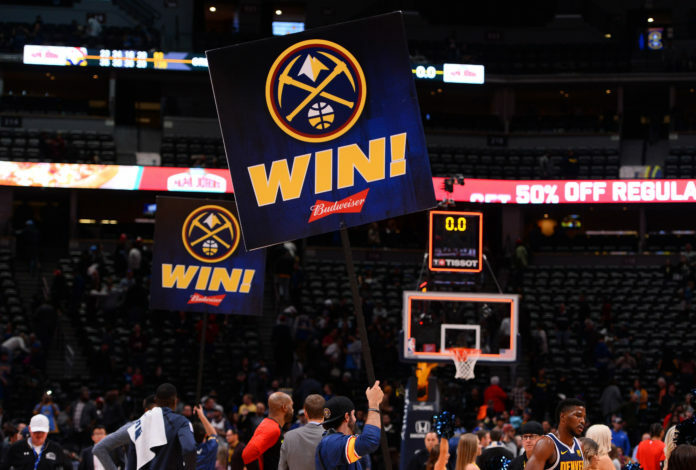 Two years from today, if things go the way they should, we can talk responsibly about the possibility – the very real possibility – of the Denver Nuggets winning it all. They’ll beat both (mark it down) and cruise into the All-Star break just one win shy of 40. The Denver Nuggets have arrived. Forty wins this time of year is no joke. But there’s still a lot of work to do. Arrival does not mean title. 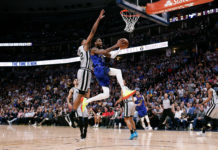 As these Nuggets continue to morph into a title contender, it’s easy to reference the team they’ve modeled themselves after – the Golden State Warriors. Remember that ESPN article a couple years back? The one that essentially identified a not-so-coincidental similarity between how the world champion Warriors were built and how Tim Connelly was busily building in Denver? Well, two years later that particular article is holding up. Indeed, it looks as if the Nuggets are on a Warrior-like trajectory. Assume – at least for now and for the sake of argument – that the roster and timing are practically identical. We all know when the Warriors “arrived” – April of 2013, when they upset the No. 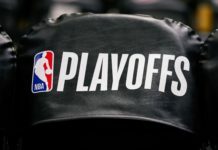 3-seeded Denver Nuggets in the first round of the NBA playoffs. Famously, the two teams went in complete opposite directions from there; the Nuggets practically fell off the map, while the Warrior went on to become, well, the Warriors. That year the Warriors turned the corner, they fielded an All-Star (David Lee) for the first time in 16 seasons (following Latrell Spreewell in the 1996-97 season). 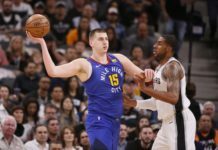 Nikola Jokic will represent the Nuggets on All-Star weekend, something that hasn’t happened in eight years. And Jokic is considerably better than Lee ever was. That year, the Warriors got out of the first round, something the Nuggets had better do this spring, and then lost in six games to the Spurs. The next season, the Warriors lost in the first round and promptly fired their coach (that’s not at all to suggest that Michael Malone, who will be coaching in the All-Star game this weekend, should be canned). It was apparently the right move, as Steve Kerr came in and took the same core all the way to the Finals – and won. The keys, in no particular order: The core roster remained mostly the same; the Warriors took the requisite playoff lumps, natural maturation and chemistry occurred; the roster featured two All-Stars (Steph Curry and Klay Thompson); the GM, Bob Myers, oversaw the entire process and still does (NOTE: Keeping Tim Connelly, whose contract expires after this season, is key for the Nuggets). Can the Nuggets perform those feats? Seems simple. And by the spring of 2021, the West won’t be the same West it is now. The timing should be right. Get those vacations in this summer in next. But in June of 2021, keep the calendar clear.